Slice the top off of the strawberry. 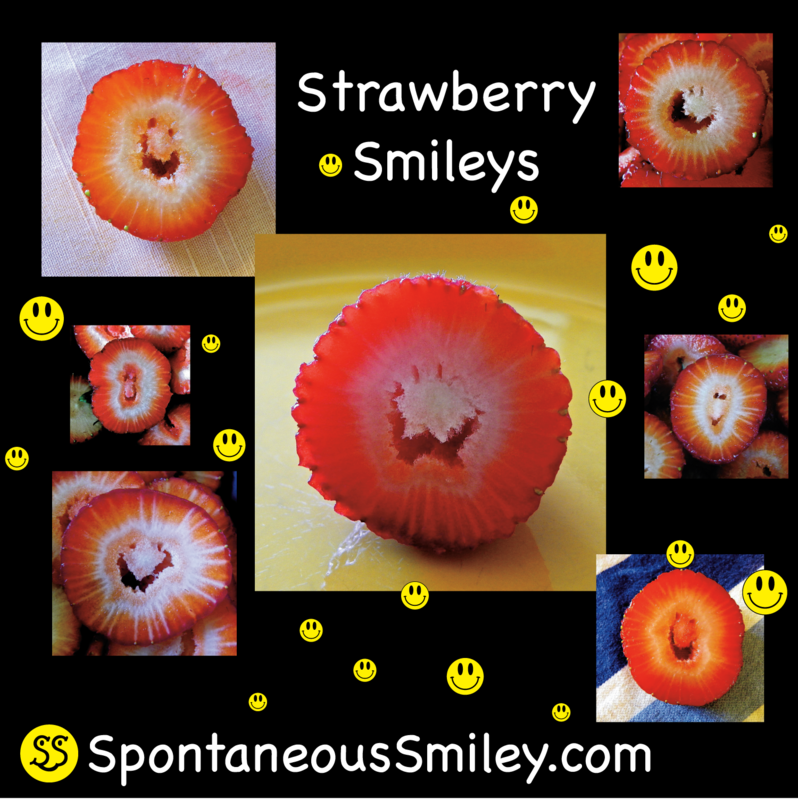 Then without turning the berry around or chopping it in half, just keep slicing making disk like slices. 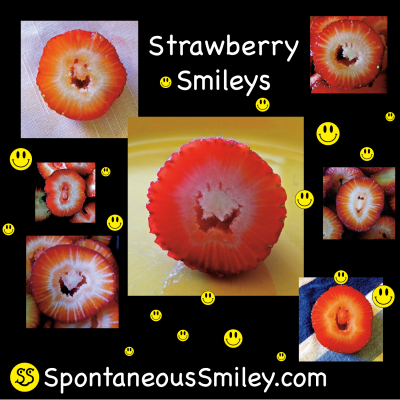 And, voilà, ta-da, presto, bah-da-bing; you will find SMILEYS! !